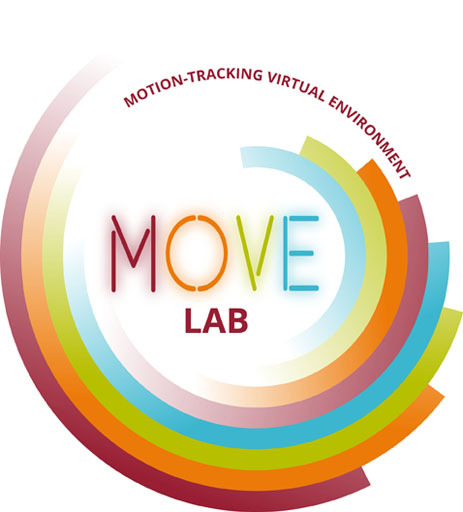 The month of August proved to be a busy month for the MOVE Lab and demos of our projects. The Seattle Metropolitan Chamber of Commerce visited on August 1 as part of their WSUV tour. Following that demo on August 13 we hosted 24 legislative staffers from WA State representing both the House and Senate. On August 16 we were honored with two more sets of visitors and gave a demo for each: Senator Maria Cantwell and others in her group were following by Laura Parker, the new STEM Director for SWWA, and representatives from the Fort Vancouver National Trust. 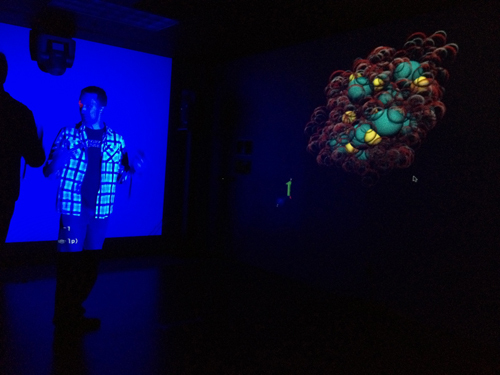 We were able to show them the most recent version of iSci, the project we have been building in the MOVE Lab all summer that is an interactive, immersive environment for teaching scientific principles to 6-K students. 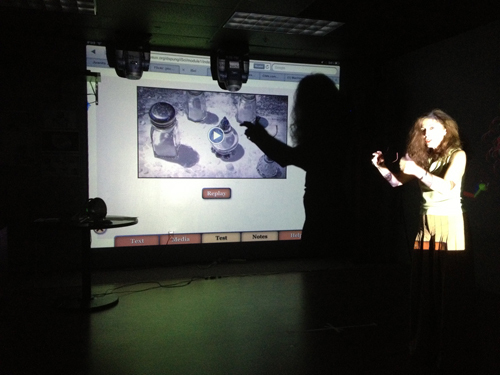 The photo above shows me talking about the AppBook that is part of the project. The one below show Greg Philbrook demonstrating how one goes about controlling a salt molecule with Kinect and WiiMote. iSci team member Greg Philbrook demonstrates how students can interact and control a salt molecule with Kinect and WiiMote.